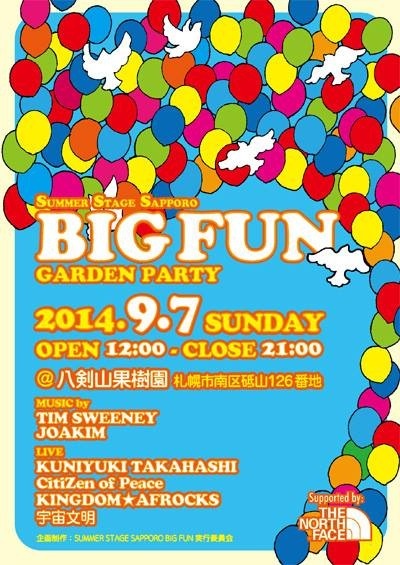 Come to BIG FUN if you want to finish off this year’s summer with an outdoor festival near Sapporo! This is an annual one-day music festival that invites with foreign as well as local artists! See for this year’s line-up underneath! Ticket: TICKETS: ADV: 3200yen | DOOR: 4300yen ◯先着400名様に限り、入場無料 （入場時に入口にて2ドリンクチケット1,000円を購入していただきます） ◯当日入場には限りがあります。事前の前売り券の購入をお勧めします。 ◯前売券の販売締切日は9/6(土）となります。 ◯中学生以下は無料になります。但し保護者同伴とさせていただきます。 ◯FREE ENTRANCE for 400 first arrivals! 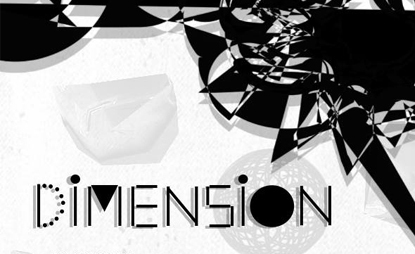 (1000yen drink tickets obligatory) ◯Advanced ticket is recommended since there is a limit to entry. ◯Advanced ticket sales is until 9/6 (SAT) ◯Kids under junior high age are free but must be accompanied by parent. Along with with Japanese live paint szene’s NOVOL, up-and-coming jazz trumpeter Takuya Kuroda who made his name for his Blue Note debut release “Rising Son” are coming to Sapporo! 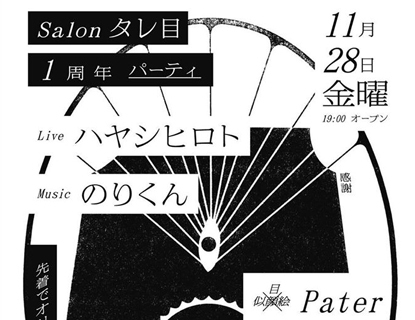 Come and enjoy this evening as a fantastic melting pot of NY-Tokyo-Sapporo culture!